The Marici Felloowship is pleased to offer lectures and interactive presentations by guest speakers from our community and beyond, facilitating topics on a wide range of subjects relating to the needs of all beings in our community. We have had speakers in the past from NAMI (the National Alliance of Mental Illness), Real Change, SHARE/WHEEL and more. In the future, we have many planned visits from leaders in our community for projects relating to Animal Hospice, Homelessness, Addiction Support, Youth issues and more. 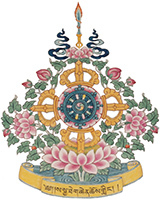 Please check our events page or the Sakya Calendar for more information. If you would like to request a speaker or organization to come speak to us, please fill out the form below and we will get back to you as soon as we can. Or email marici@sakya.org with any questions.